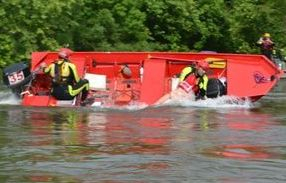 Rescue Boat Operations - RBO is a course is for any rescue unit involved with water related rescue operations. The Rescue Boat Operations course is used to not only train, educate, but also to select, outfit, operate, and rescue individuals utilizing boats as a rescue platform. During this course students gain experience reading both static and dynamic water using manual and power mechanisms. In the course students will ferry across currents, perform obstacle navigation, peel-outs from eddy to eddy and much more both up and downstream. AUDIENCE: This course is designed to support Water Rescue, Flood Rescue, and Swift Water Rescue Technicians and have received Swift Water Flood Rescue - Technician. 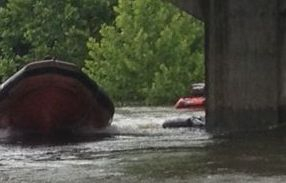 Those individuals who have Swift Water Flood Rescue - Operations may take the course but are required to take the SWFR - Technician swim test (300 meters in 12 minutes) and who are seeking additional knowledge and skills in order to meet certain job, regulatory, and other requirements. Every student will be required to show proof of completing a boaters safety course. COURSE FORMAT: The is classroom and field practical-based which includes instructor, PowerPoint, skills interaction throughout the course using your departments equipment. The course is approximately 16 hours (two days) in length. 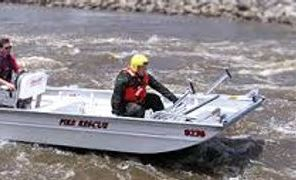 CERTIFICATION: Upon completion of this course, students receive a Rescue Boat Operator course completion certificate and completion card that is valid for 2 years. It is recommended that students attend a refresher course every 2 years to remain current on new practices and technology.